Narmada River pushkaralu celebrations begins from 17 May,2012 to 28 May,2012.For once in 12 years Narmada Pushkaralu takes place when Gurudu(Bruhaspati/Jupiter-Planet) enters into Vrushabha Rasi(Taurus) and happens this time on Vysaka Bahula Dwadasi 17 May 2012 at 9:54AM. 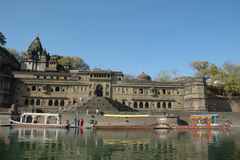 According to the Hindu Mythology on this auspicious date and time all gods and also Pushakara take a dip in the river of Narmada and Hindus believe that all the sins will be lost by taking holy bath in the narmada river during this auspicious time. 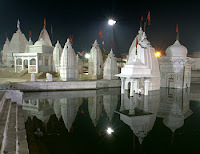 There are many temples are situated on the banks of narmada river.Among them Amarkantak temple,Omkareshawar Temple,Maheswar Temple,Nemawar Siddeshwar Mandir,Chausath Yogini Temple,Chaubis Avatar Temple and Bhojpur Shiva Temples are very ancient and famous. Amarkantak Temple: Amarkantak is the birth place of Narmada River and it is located in Anuppur district,Madhya Pradesh.In Amarkantak Narmada Mataji Temple is situated and Jataras will be held on every Narmada Jayanthi,Vysaka Purnami and MahaSivaratri in every year.The nearest airport is Dumma Jabalpur located in jabalpur city and by road the temple is 240KM from Jabalpur city and nearest railway station is jabalpur city. Omkareswar Temple: Omkareswar Temple is a abode of Lord Shiva and is one of the 12 Jyotirlingas of Lord Shiva in India.At Omkareswar town two temples are situated one is omkareswar temple and Amareswar Temple. It is situated in Khandwa district,Madhya Pradesh.The nearest airport is Indore and Ujjain airport and by road 77KM from Indore and 133KM from Ujjain and nearest railway station is Indore. 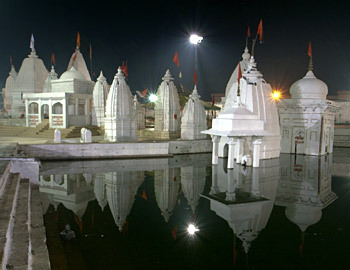 Maheswar Temple: Maheswar Temple is located in Khargore district,Madhya Pradesh. 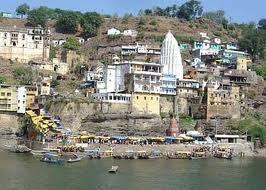 It is the abode of Lord Shiva.The nearest airport is Indore and by road 91KM from Indore.Other important places on the banks of river narmada are Chausath Yogini Temple-28KM from Jabalpur city,Bhojpur Shiva Temple,Nemawar Siddeswar Mandir and Chaubis Avatar Temple.